Snow, ice and blizzards are recent memories for some pool owners but suddenly, it’s spring! The heart of pool season is really only a couple of months away. Those in chilly climes who have closed their pools for the winter usually open them again in the spring. 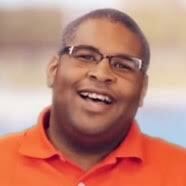 If you are new to pool ownership or just need a refresher course, here’s our step-by-step pool opening guide. If you have one, either a winter tarp or a safety cover, it is most likely bearing a sizeable puddle and a bunch of debris. Before attempting to move it, we recommend draining the water and cleaning off as much of the debris as possible. 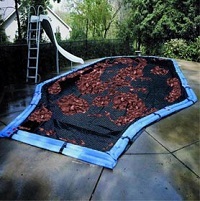 That way, when you do dislodge the cover, most of the gunk will not end up sliding into the pool. For inground pools, a cover pump is the easiest route. You can use the same for an above ground pool or make a siphon with a garden hose. Once this drain-and-clean is done, remove the cover and sweep or brush it off. Allow it to dry completely before storing it. Some people dust the cover with talc to keep mold from forming. Check the pool water level and add enough fresh water to raise it to half-way up the opening of the skimmer. This is very important – you want your pump to draw water, not air, once you turn it back on. Some pool owners remove the pump, filter, heater, etc. for the winter. If this is you, it’s time to reconnect all of your pool gear. Be safe and make sure the pool equipment breakers are off first! 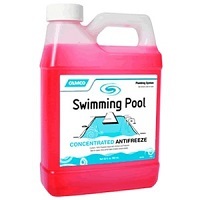 If you used pool anti-freeze, then discharge it to waste before you remove any winterizing plugs. Threaded winterizing plugs are typically used to close off the return lines. Be sure to remove these as well as any attached to the pump, filter, heater and automatic cleaner. Remove any skimmer guards. Replace any and all drain plugs that were removed from your equipment and stored during the winter. Be sure to replace all parts that might have been removed such as the skimmer basket, filter pressure gauge, and – to remind you once again – those drain plugs. Inspect all parts as you go to make sure they survived the winter and are in good shape. The lid for the pump strainer basket is especially important; be sure the lid and its o-ring are free of any cracks. Prime your pump and turn it on. Be sure the filter’s air relief valve is open so it can release air from the system. This is a good time to inspect for leaks or any other visible / audible problems. Let the pump and filter run for a few hours and then check the pH, chlorine and total alkalinity. It’s best to take a sample from the pool’s deep end while the water is circulating. If you own a decent test kit, that’s great – use it. If not, you can take a water sample to your local pool store; most offer free water testing (with the hope you will buy any necessary chemicals while there). Adjust levels accordingly. Even in a covered pool, there will always be some gunk that has collected during those cold months. A good scrubbing with a new pool brush and then vacuuming will take care of most of it. Keeping the filter going will help catch fine debris you have dislodged. Adding shock should be the final blow to any organics left after circulating, balancing, and cleaning your pool. Spring start-up kits will include shock along with algaecide, clarifier, and metal control. Now you should be ready for all the joys of the fleeting pool season. 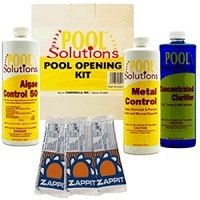 If you need anything for opening your pool – chemicals, parts, advice – please contact our helpful reps via email or call us at 877-372-6038.